With almost 90 percent of ballots counted, the most likely scenario heading into the runoff stage election day became a reality: Jair Bolsonaro will, on January 1st, become Brazil’s 38th president. Just a few years ago, Mr. Bolsonaro was seen as little more than a radical right-winger who expressed nostalgia for the military dictatorship. Now, he becomes the leader of a 207 million people, with a fragile democracy and obscene levels of inequality. Jair Bolsonaro posted 56 percent of valid votes, approximately 52 million votes, against Fernando Haddad’s 44 percent. Mr. Bolsonaro has shattered, throughout this campaign, each and every single postulate in Brazilian politics. Experts said he wouldn’t be able to grow minds due to his sheer lack of television and radio airtime. He did. In December 2017, one pundit called the president-elect’s campaign a “bubble” and said his “rhetoric is too simplistic.” It wasn’t. Another political scientist told AFP in August that Mr. Bolsonaro wouldn’t win because the majority of women widely rejected him. In the end, they didn’t. Last month, failed Brazilian Social Democracy Party candidate Geraldo Alckmin claimed second-place Fernando Haddad was guaranteed to make the second round, but Mr. Bolsonaro was not. Respected statistician Pedro Guimarães agreed. Well… there almost wasn’t a second round at all. Why did Jair Bolsonaro win? There are myriad explanations behind Mr. Bolsonaro’s victory, including rampant anti-Workers’ Party sentiment among many sectors of society, the failure to unite the center-left, the disastrous campaign of center-right Geraldo Alckmin, the insistence of the Workers’ Party on promoting Lula as its candidate, the insularity of the Fernando Haddad campaign, the inability of the media and other candidates to successfully deconstruct Jair Bolsonaro’s violent discourse, the skill with which the Bolsonaro campaign wielded its social media strategy, and the support of financial markets for Mr Bolsonaro’s promised libertarian economics. On October 18, newspaper Folha de S.Paulo published a report exposing a scheme ran by private corporations to spread negative content against the Workers’ Party on WhatsApp. Such support is considered by Brazil’s electoral justice system as illegal campaign funding, as companies aren’t allowed to contribute with campaigns in any way, shape, or form. 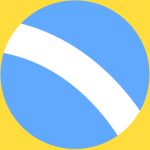 Millions of users were targeted for weeks in a very sophisticated scheme. You can find out more about it here. Perhaps the most telling factor, however, was Mr. Bolsonaro’s focus on improving public security. 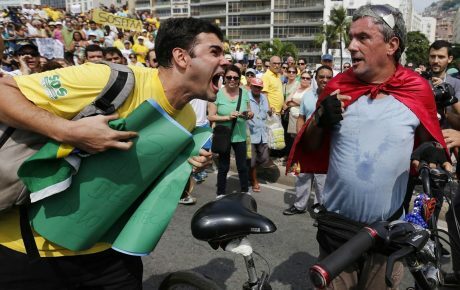 Traditionally, the biggest concern of the Brazilian electorate is health care, followed by unemployment and corruption. According to a Datafolha poll from last month, violence is now tied with health as the principal worry of the average Brazilian, reaching levels of concern unprecedented over previous eight years. Of the leading candidates, Jair Bolsonaro was the only one to offer a firm stance on violence, crime and public security as a whole. His “good criminals are dead criminals” platform resonates with so many in Brazil, even those from segments of society which would typically vote for the Workers’ Party, such as working-class individuals and women. Mr. Bolsonaro’s proposals for combatting violence are likely to create an even more violent society. Opening up the right to carry guns to the entire population goes against all international studies and experiments into improving violence figures. But, in this bizarre election, Mr. Bolsonaro’s proposals proved to be irrelevant. Crucially, he was the only candidate who gave voters the impression that he was also properly concerned with the state of public security in Brazil. The major flashpoint in this presidential campaign came on September 6 when, while on a campaign rally in the city of Juiz de Fora, the now-president-elect Mr. Bolsonaro was stabbed in the abdomen in an assassination attempt. 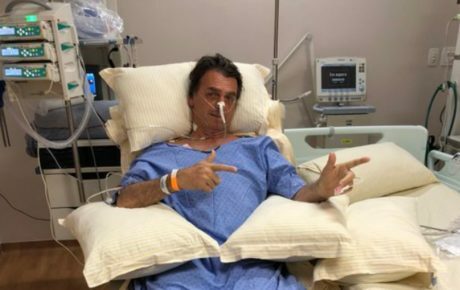 While surviving the attack, Mr. Bolsonaro was forced to sit out the rest of the campaign, spending weeks in intensive care and watching the results come in at his house in Rio de Janeiro, where he is on doctor-ordered bed rest. For any other candidate, such an incident would have spelled the end of their hopes for victory. For Jair Bolsonaro, however, it ended up being favorable. The attack meant he was on the cover of every newspaper in Brazil (and several around the world) and served to galvanize his already firm voter base. Furthermore, it gave him the excuse to avoid all remaining televised debates, meaning he wasn’t challenged by any of his rivals, who ended up giving each other bloody noses, while Mr. Bolsonaro remained strong. The social media machine already put in place by the Bolsonaro campaign was unstoppable, and it made little difference that the candidate himself was stuck inside a São Paulo hospital. 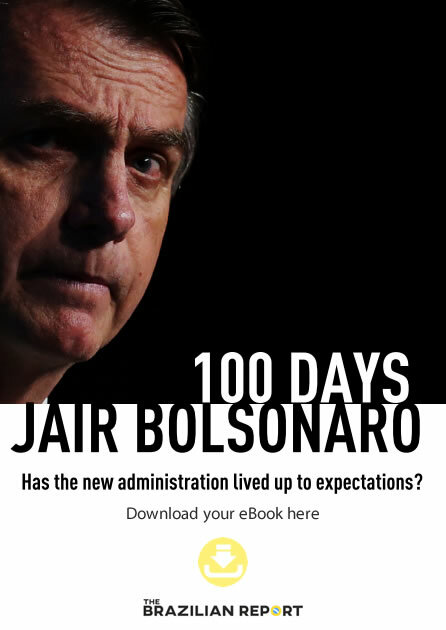 What to expect from a Jair Bolsonaro administration? Jair Bolsonaro announced that he wouldn’t address the nation on the traditional media, but rather on a Facebook live broadcast. He has already stated multiple times that he will talk directly with the people, no mediation from newspapers or anything of the kind. The man who fueled comparisons between himself and U.S. President Donald Trump will likely follow the reality-TV star’s footsteps, governing on Twitter. Sociologist Celso Rocha de Barros defined Jair Bolsonaro as “the worst of all of the populists” elected in the world, naming him the most extreme president of the democratic world. He takes over a fractured country, filled with disgruntled voters. He will likely not have the honeymoon period presidents usually do. He will have to show results quickly or the same anger that pushed him to the presidency may create turmoil and crisis for his future administration. 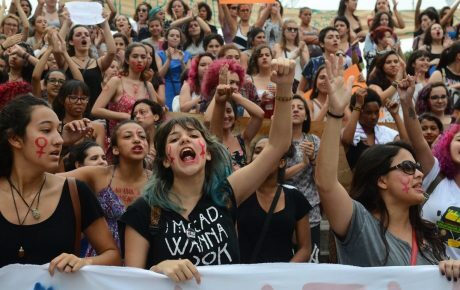 Will women prevent Jair Bolsonaro from becoming Brazil’s next president? Has Jair Bolsonaro reached his ceiling?